With more than 30 years of proven experience, SunPower is a global leader in solar innovation and sustainability, especially with its record breaking solar panels. A solar technology company with more than 750 industry patents, SunPower excels at converting sunlight into energy for homes and businesses. Headquartered in Silicon Valley, California, SunPower has some 7,000 dedicated, customer-focused employees across five continents. SunPower’s investment in Research and Development led to the 2016 world record for solar cell efficiency to 25.2%. This means 25.2% of the sunlight hitting the cell converts to electricity. SunPower’s solar cells generate more power than standard products. SunPower captured the public imagination last year with an amazing demonstration of its solar cells in a solar powered plane. The company’s solar powered plane, Solar Impulse 2, with a wingspan wider than a Boeing 747, completed an amazing round the world flight powered only by sunlight. Power came from the 17,000 solar cells housed on its massive wings. SunPower is the world’s first and only solar company to earn the prestigious Cradle to Cradle Certified Silver designation for its E-Series and X-Series solar panels because of its environmental stewardship and sustainable manufacturing practices. The Cradle to Cradle Products Innovation Institute is a US non-profit organisation. The Institute administers the publicly available Cradle to Cradle Certified Product Standard. To explain, this provides designers and manufacturers with criteria and requirements for continually improving what products are made of and how they are made. Each day, SunPower manufactures roughly one million cells and 10,000 solar modules. This enables 4,000 metric tons of carbon dioxide (CO2) from being emitted into the atmosphere – the equivalent to the CO2 emissions from burning 1,800 tonnes of coal. SunPower’s X-Series solar panel’s conversion efficiency has been verified by the US Department of Energy’s National Renewable Energy Laboratory, as well as by the Japan Electrical Safety and Environment Technology Laboratories. The efficiency of how a solar panel converts light into electrical energy will determine how much power your system generates. If two solar panels cost the same, but one has a higher conversion efficiency, then that solar module provides the better value for money. Now SunPower is making this ground-breaking solar technology available to Australians. If you want to install rooftop solar panels and you don’t have much space, SunPower’s X-Series solar panels are the answer. That’s because the energy production per square metre is higher with X-Series panels than more conventional panels. SunPower X-Series solar panels produce 70% more power over 25 years because of their superior construction. In fact, X-Series residential rooftop solar panels convert more sunlight to electricity by size by producing 38% more power per panel. This increased cell efficiency means that over 25 years X-Series panels produce 70% more energy per square metre than other panels. Because X-Series residential solar panels generate more electricity while using less roof area, you can expand your in-house energy production by adding more panels later. Enhanced energy production, compared to conventional panels, in conditions of partial or temporary shading or soiling. The reason for the X-Series’ superior longevity is its Maxeon solar cell. This is the only cell built on a solid copper foundation, making it resistant to corrosion and cracking. 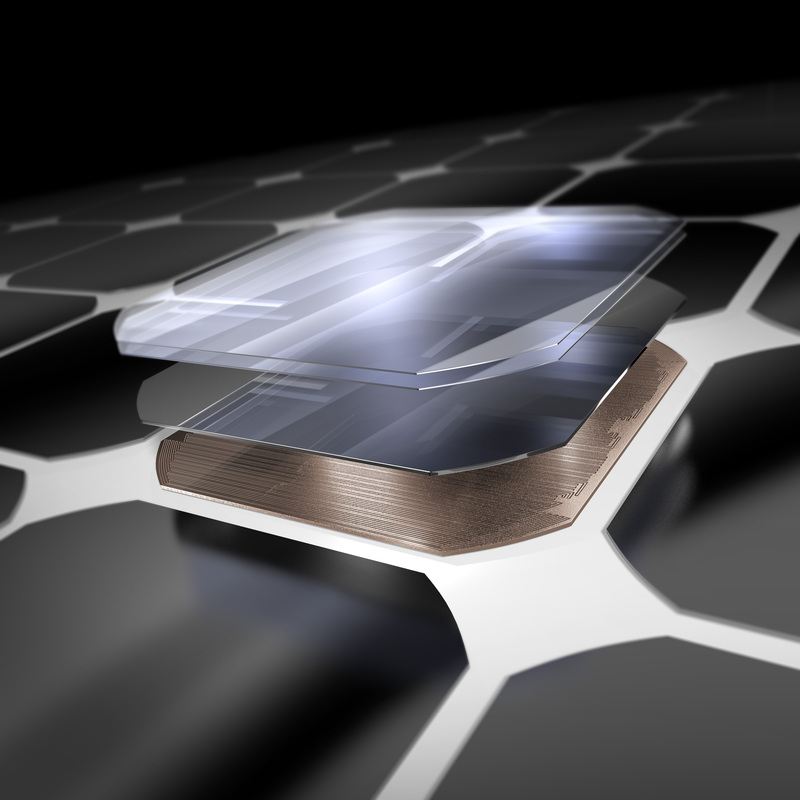 SunPower’s copper-based Maxeon solar cell: durability through superior materials. 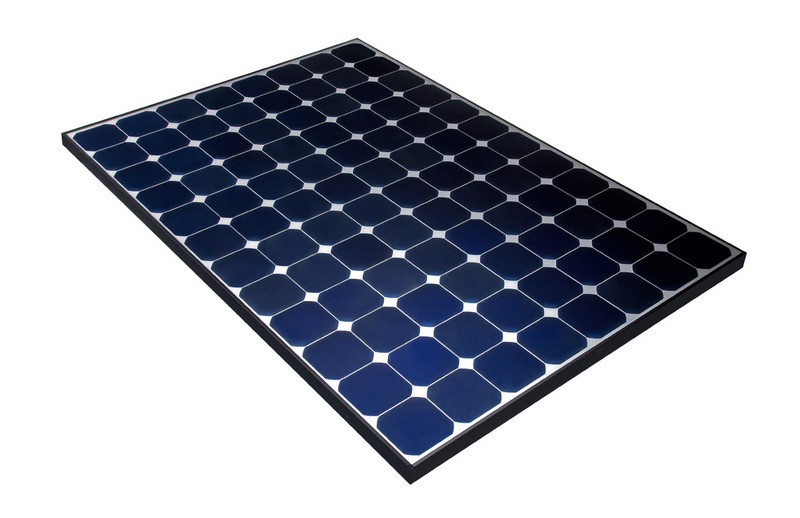 SunPower’s E-Series panels also use the copper-based Maxeon solar cells, giving them a longer lifespan. E-Series panels produce 31% more power per panel and 60% more energy per square meter over 25 years than a conventional module. This toughness makes it a good match for the Australian elements. Therefore it is the reason that a Maxeon solar cell produces more power over a longer time. Other solar cells use a less durable metal foundation. This affects the efficiency of the solar cell, which produces less electricity. No other manufacturer offers a 25 year manufacturers’ warranty on its solar modules. You can add Sunpower modules as part of a home solar power system – get a quick quote now! Sunpower products can be included in business solar power systems Energy Matters develops. Sunpower exclusively distributed via Energy Matters’ wholesale arm and partner network.